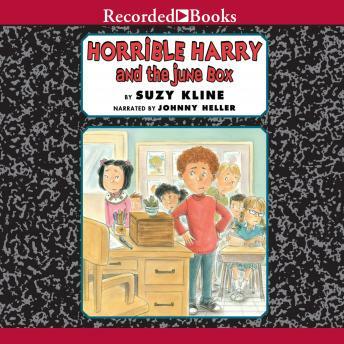 One of the kids in Room 3B is breaking the rules--and this time, it's not Horrible Harry! There is a sub in Room 3B for the day, and all she cares about is following the rules. So when Harry gets caught playing with the origami pig Song Lee has made for her grandmother, the strict teacher puts the pig straight into the June Box--a "jail" where toys are held captive until the end of the school year. Desperate to rescue her pig, Song Lee does something unthinkable. And both she and Harry end up facing the consequences.